Below is our report of the June Market. We didn’t get to the July one because we were away camping. 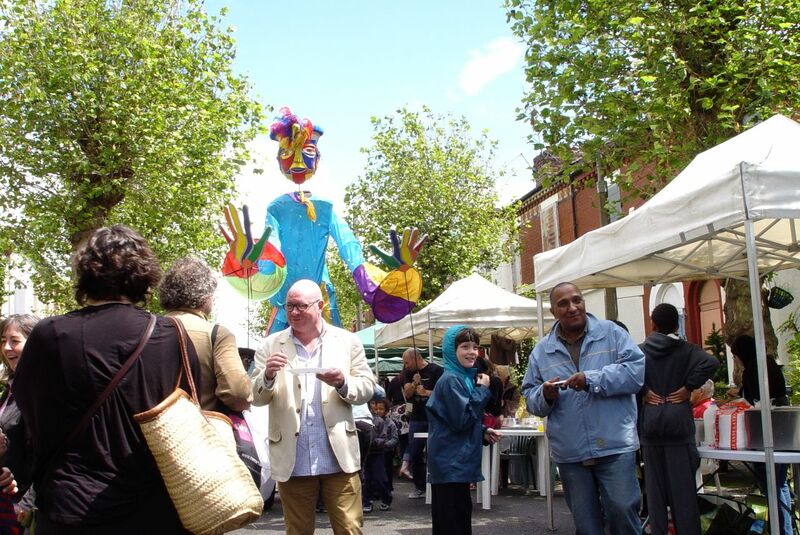 On the last Saturday of May we had a gloriously sunny day for the Granby 4 Streets May Market and we all had a wonderful time. 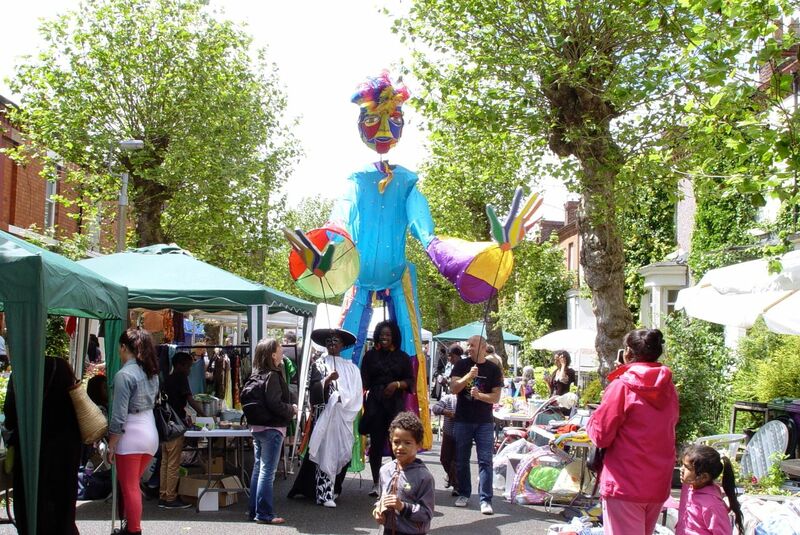 In June the 4 Streets Market was effectively part of a Liverpool 8 Festival, with other street-level, community owned events happening in Windsor Street and Lodge Lane, as highlighted by essential Liverpool Blog Sevenstreets. 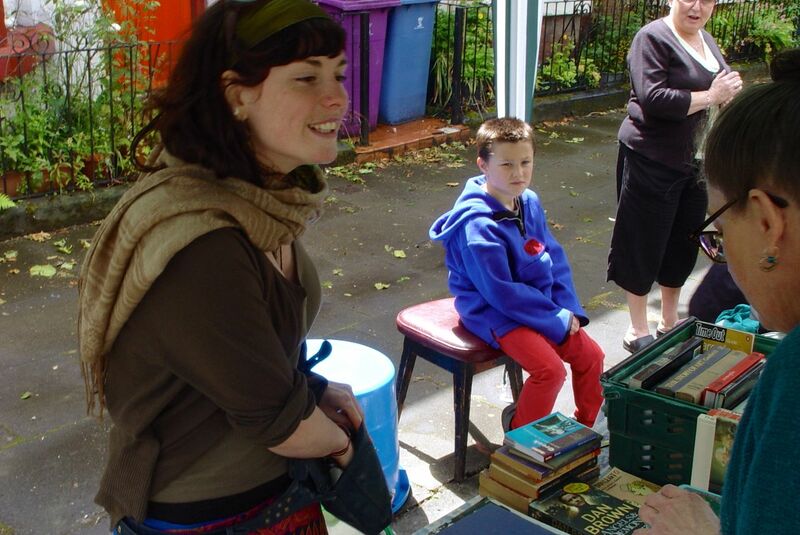 June 2012, Granby 4 Streets Market. 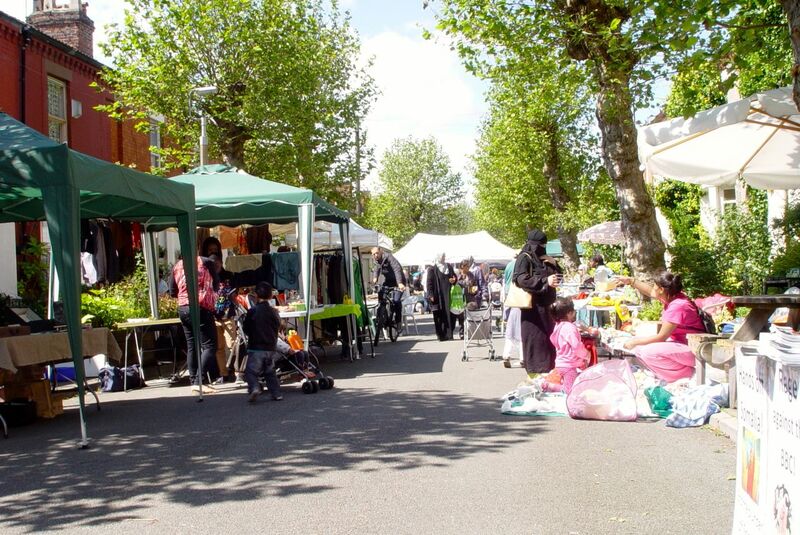 In fact Sevenstreets called green and lovely Cairns Street, where the Market takes place ‘one of the most interesting streets in the city (its terraced housing-meets-flora and fauna vibe is always uplifting).’ Well said! And this month the market had more stalls than ever and loads of visitors, many of whom were doing all three of the Liverpool 8 events. 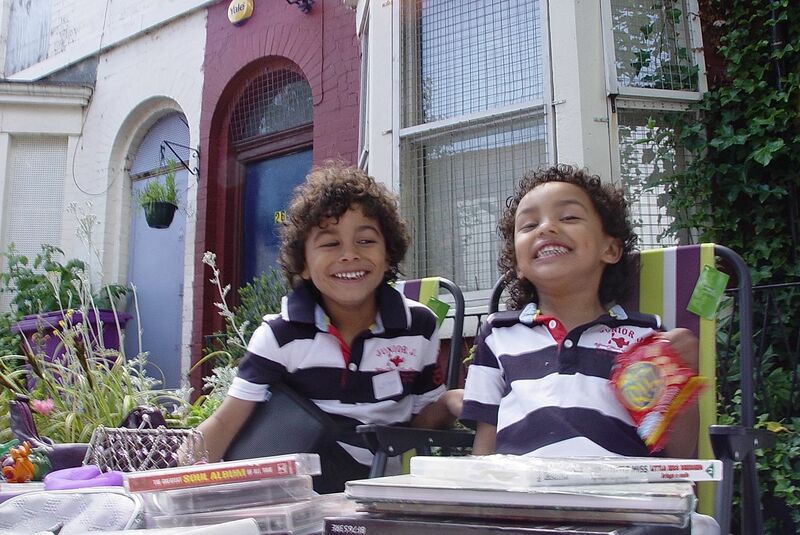 Neo and Roman running their stall with joy and laughter. And their mum, Ruth, not pictured. 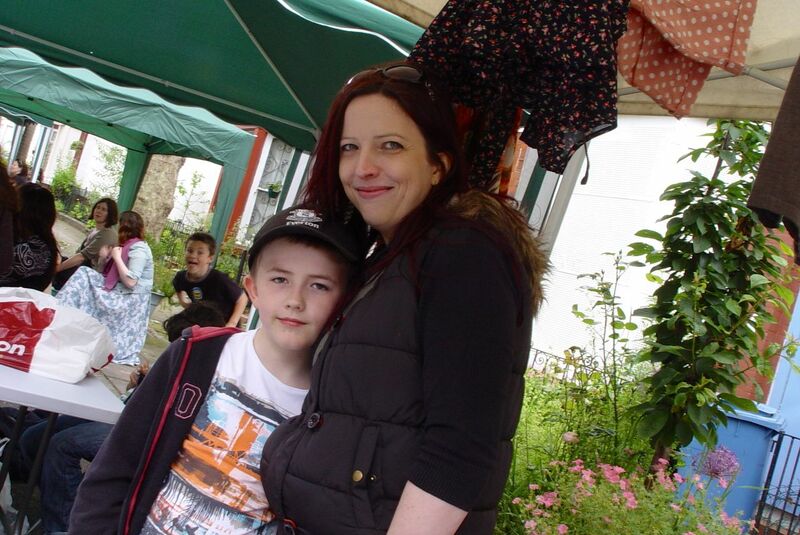 This month we had a fresh fruit and veg stall. Gina’s legendary crockery and cutlery stall. Gina also not pictured! 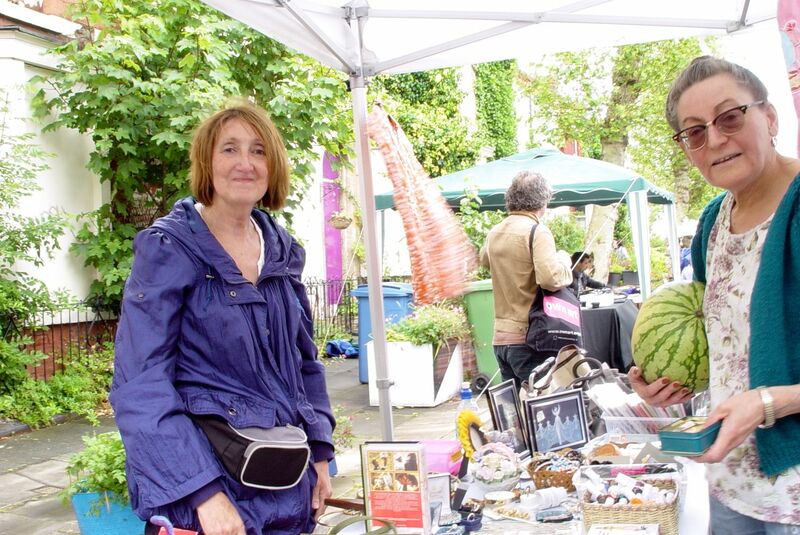 Diane at her stall, with organiser and Cairns Street resident, Hazel and her giant melon. In the middle of the day today, we had a ferocious rain-storm. Which obviously I didn’t photograph, so everything looks sunny and idyllic. But I thought you might like to see some other parts of the 4 Streets, while we’re here. 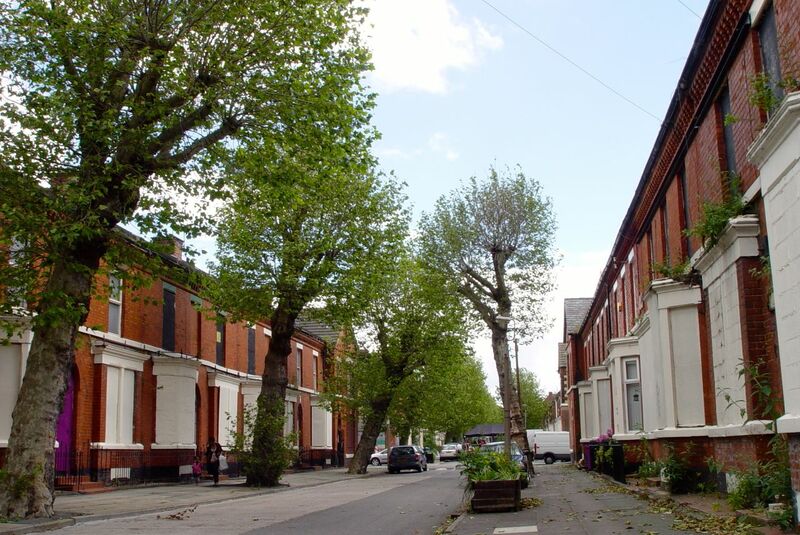 This is Ducie Street. 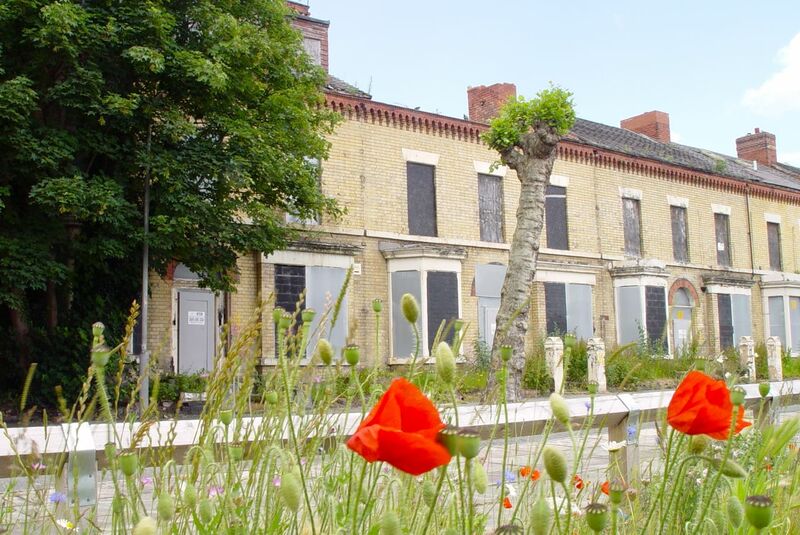 One side’s been demolished and is currently a wildflower meadow, planted up by local residents. 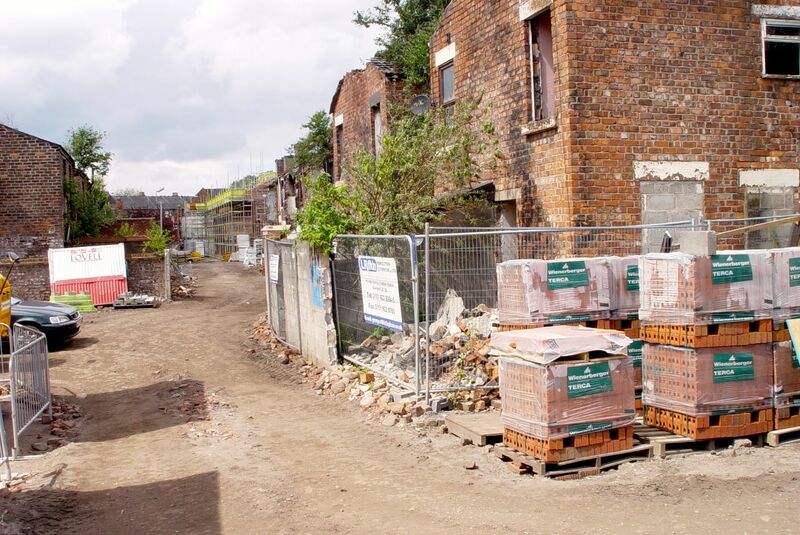 But the remaining side of Ducie Street will also be demolished later this year, as it’s too far gone to save. As many of the lovely yellow bricks will be used as possible though, in the replacement new buildings. 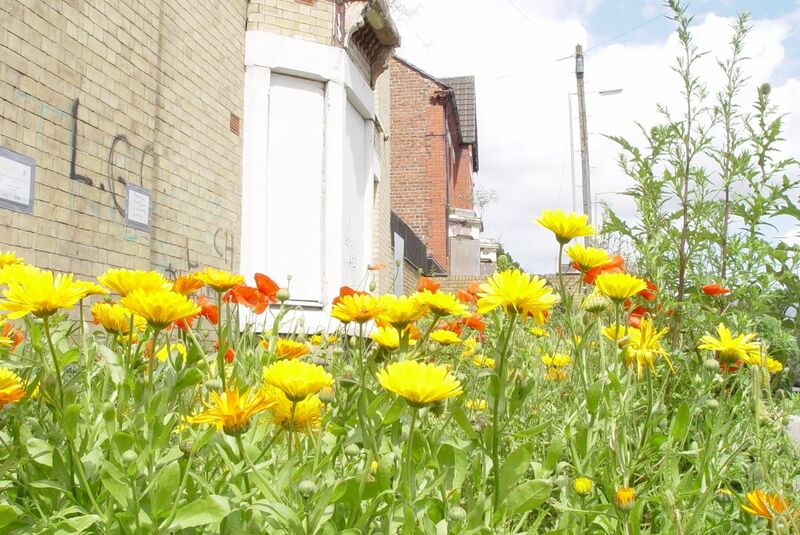 Over the last few years, lots of planting has been done by residents to raise their own spirits and reclaim their place from encroaching dereliction. Currently around fifty of the houses in the 4 Streets are lived in. With the remainder of the 200 houses empty and bricked up. 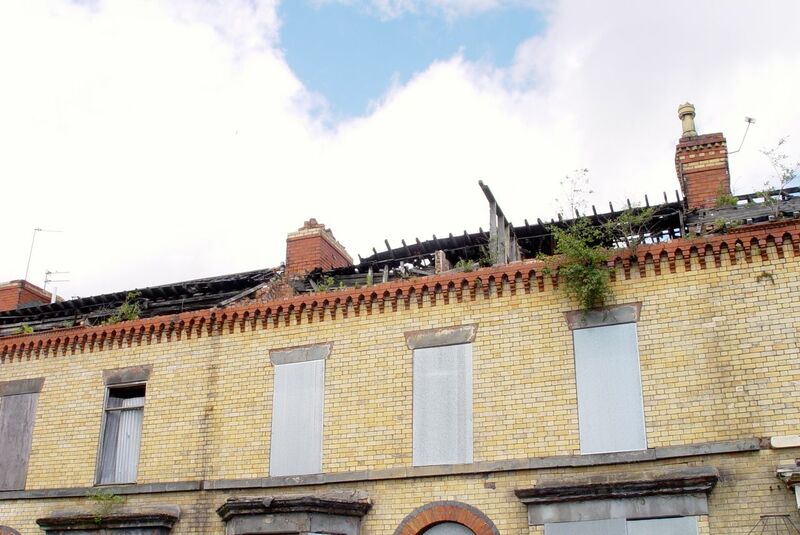 For many years it seemed likely that the streets would eventually be demolished, against the wishes of local residents. But now, fortunately, a few of the empty houses are being renovated by one developer, linked to a local housing association. And we also now know that all of the rest are going to be renovated over the next couple of years by a developer new to the area, called Leader 1. Renovations underway in Beaconsfield Street. Though these have controversially included demolitions in Cairns Street and on Kingsley Road. We’re expecting work to start later this year on the empty properties at this end of Cairns Street, nearest to Princes Avenue. I’ll tell you more about the planned works when we know more. 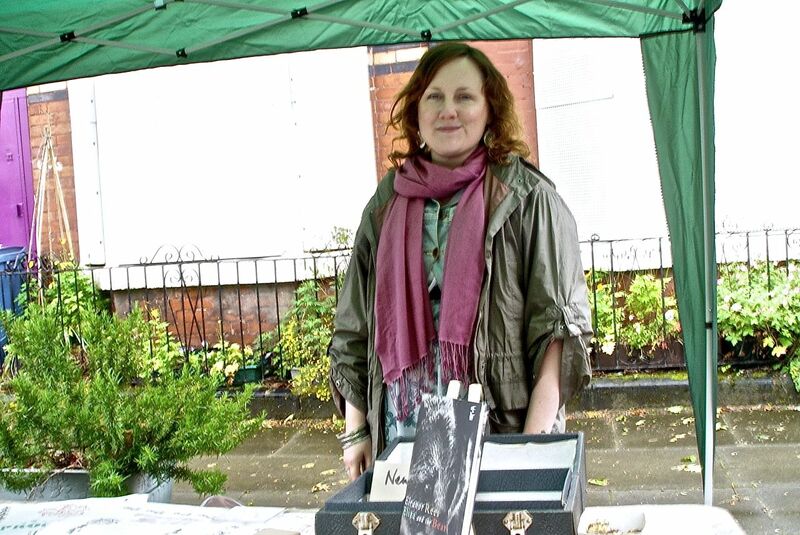 But meanwhile, back at the market this month, we had a poet with her own stall. Eleanor visited the Market last month, sat around talking with us all, liked the feel of the place and decided to take part herself this time! Welcome Eleanor! 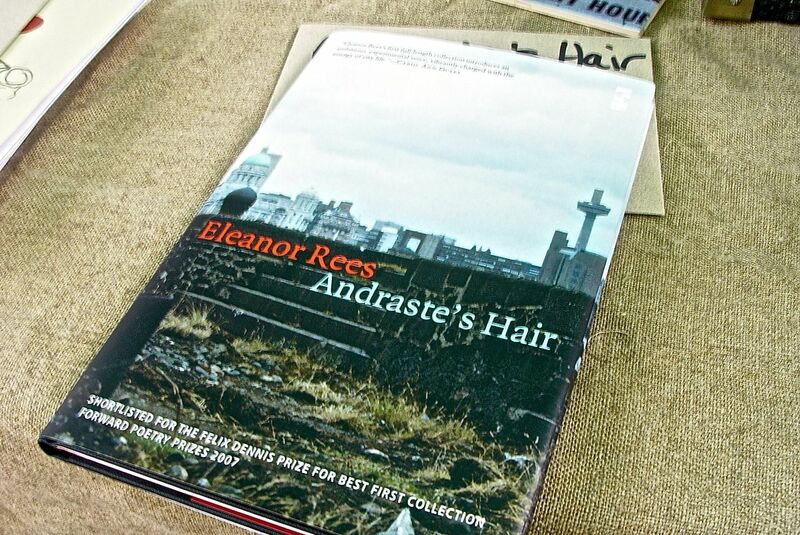 Eleanor, poet at the 4 Streets market. And Claire, another new stall holder. Selling a book to Hazel. And the boys, featured over the last couple of months, were also at this Market. Running two stalls this time! 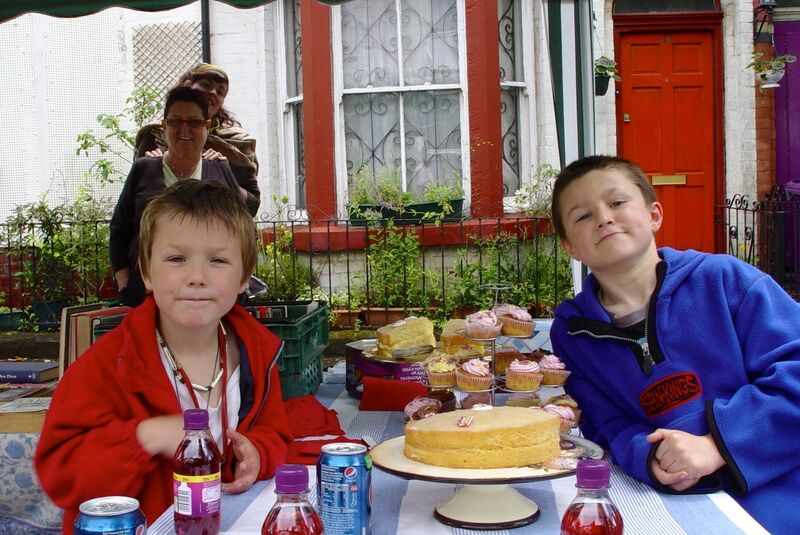 James and Tom, now seriously established as one of the Market’s cake supply stalls. Profits still going to charity. And so the Market settled into its happy rhythm of music and food and buying and selling, and bike fixing and unexpected meetings with old friends. When suddenly, looming over us all, a new presence arrived on the street. 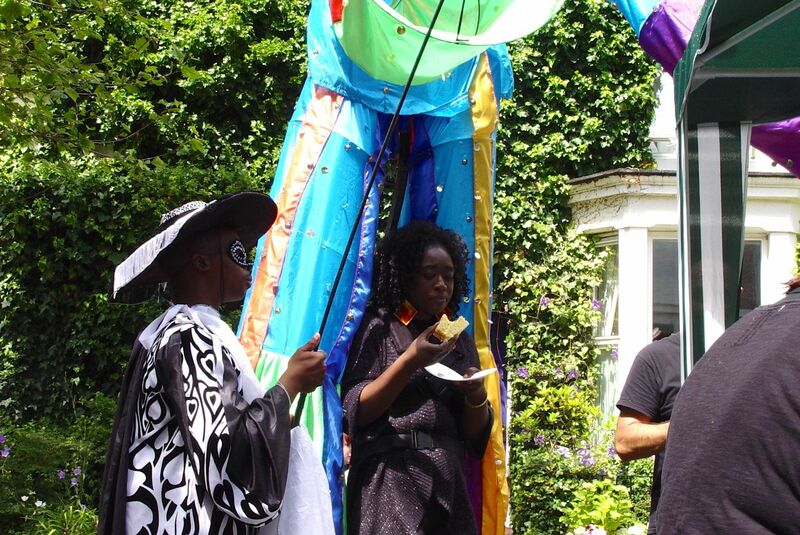 None of these people, including organisers Theresa and Joe, seem to realise there’s a giant behind them! 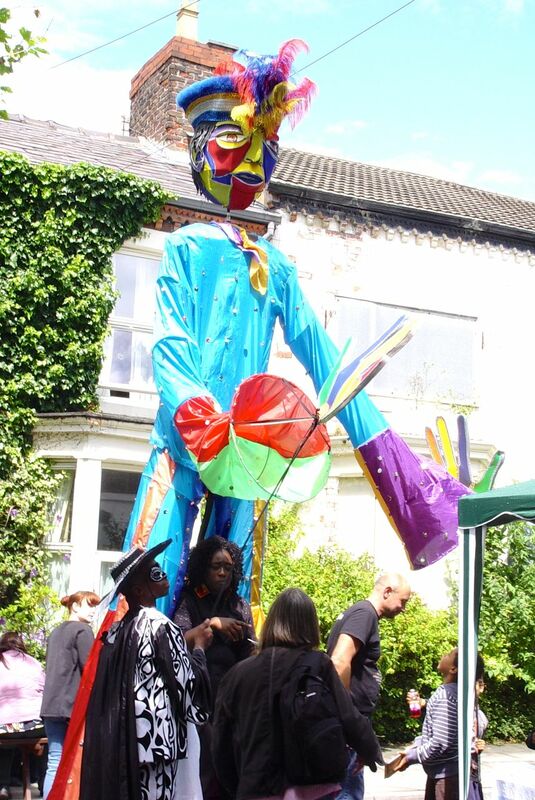 In fact, this new visitor is one of the puppets from Brouhaha International. 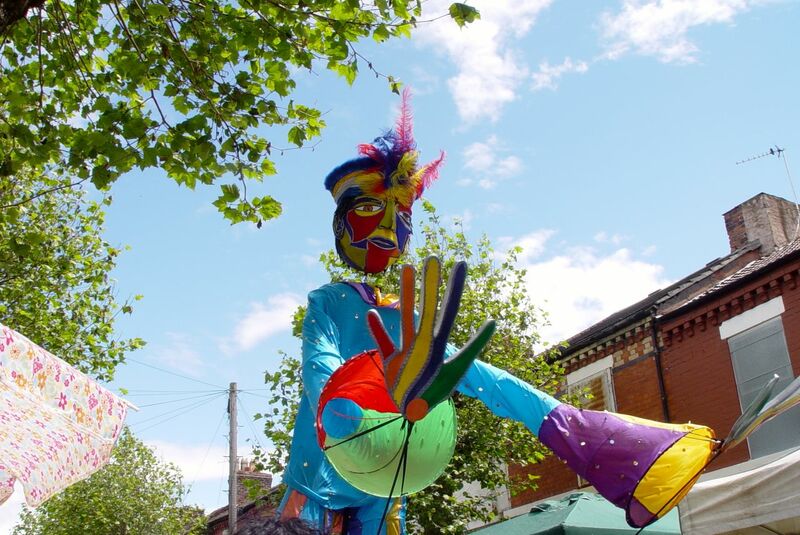 Come to let everyone know about the carnival they’ll be running in Liverpool in a few weeks time, Saturday 14th July. Brouhaha on Cairns Street, June 2012. And before the giant leaves us? Stops at James and Tom’s stall. Where she buys a giant piece of cake! Everyone needs cake. 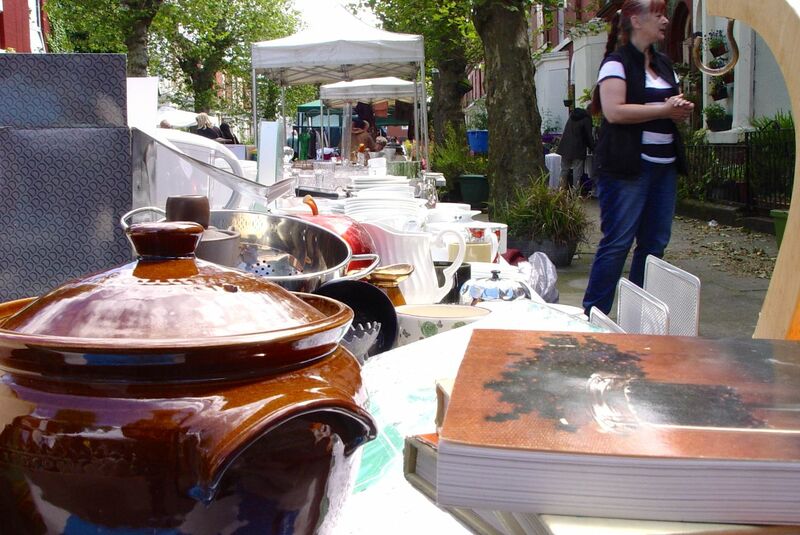 Next market: Saturday, 28th July, from 10:30am to around 3:00pm, the Granby 4 Streets market, Cairns Street, Liverpool 8. 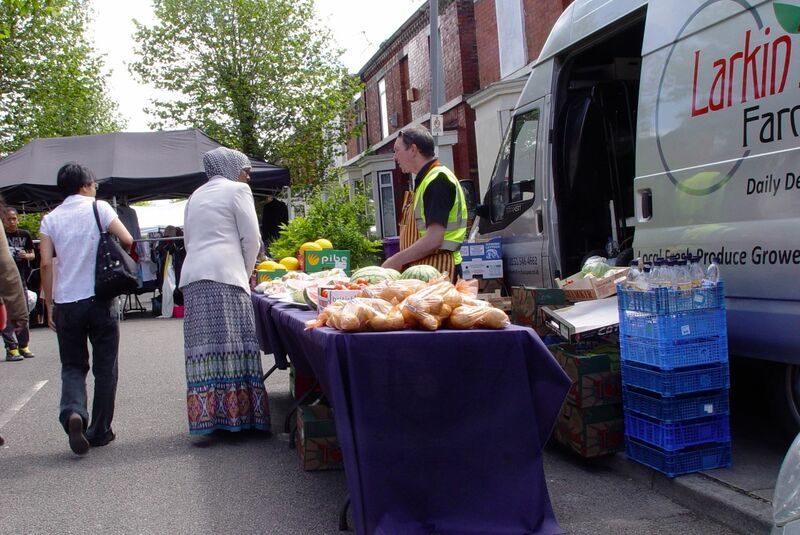 If you want to donate any items, hire a stall, or just want to know more about Granby Four Streets Market, ring Rosa – 0151 726 9379. Big thanks to Sevenstreets for the support with marketing this one. And for just generally being there for Liverpool! 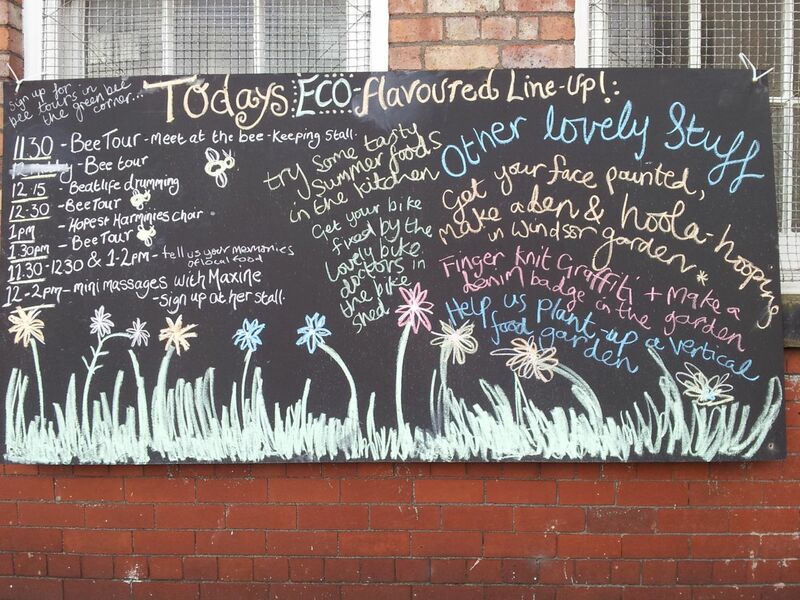 And meanwhile, elsewhere in Liverpool 8 on the same day, here’s some of what was happening at the Eco market in Windsor Street. Thanks to Clare from Squash Nutrition for the pictures. 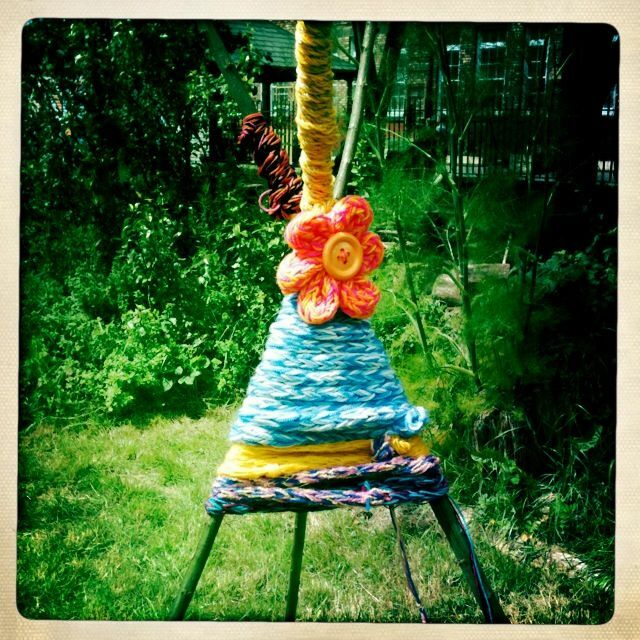 More finger knitting. Done with the help of Jane from independent craft shop, Purlesque. Hi Jan, Well here are the pictures of how it all went! Well worth the trip from Rhode Island to Granby, Kathi! Lovely pics again Ronnie – thanks. Good to have a record. Thanks Theresa, that was a good one today! Thank you Martin. Yes, that’s your house just behind James and Tom. Glad the pictures are so appreciated. Brilliant photo’s again maestro, well done! Btw that shot with young Arthur and me in, reminds me of my old panto going days! 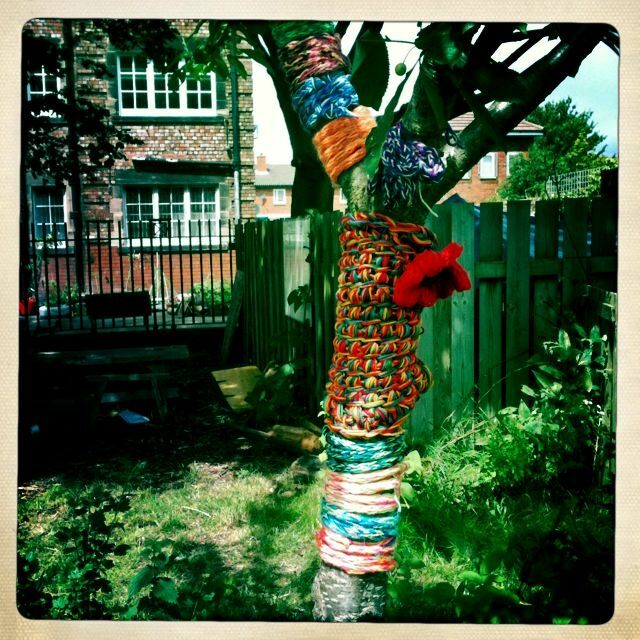 Pingback: The Big Society, Localism & Housing Policy » Blog Archive » Going, going, gone! Empty Homes for £1, but at what cost to community?